JAY — Voters will consider a proposed $5.3 million municipal budget for 2019-20 on Tuesday, April 23. Polls are scheduled to be open from 8 a.m. to 8 p.m. at the Community Building. The proposed budget is $858,808 — or 13.92% — less than this fiscal year, which ends June 30. Much of the decrease relates to the town’s not having to give Verso Corp. a credit on its taxes. 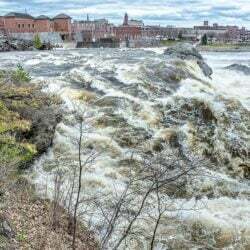 The town in April will satisfy the $4 million settlement for overvaluation of the Androscoggin Mill and associated equipment. After factoring in an estimated $1.95 million in revenues, the amount taxpayers would need to raise is about $3.4 million. This does not include the town’s share of the Regional School Unit 73 and Franklin County budgets. The spending plan would restore a full-time detective position, which now is split between detective work and patrolling. The plan also includes an increase in recycling costs from the current $15 a ton to $125 a ton, starting July 1. 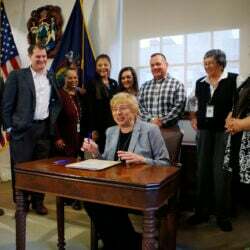 Voters will be asked if they want to authorize adult use and medical marijuana establishments, including cultivation facilities, products manufacturing and testing facilities. Also on the warrant is whether to establish a Special Amusement Ordinance with an annual $25 permit fee. 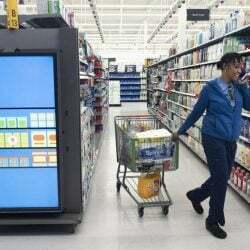 It would apply to businesses that sell and allow consumption of liquor on the premises and that offer music, dancing or entertainment of any sort, except for radio or other mechanical device. Another article asks whether to spend $50,000 to cover half the cost of a police resource officer, with RSU 73 paying the rest. The cost includes salary, benefits, an office, a computer, gas and associated expenses. The officer would work 39 weeks for the district and patrol for the Police Department for 13 weeks. The person would be supervised by the police chief. In the second year, if the position is approved, the cost would be split, with the district paying 75% and the town 25%. The Select Board and the Budget Committee approved the measure in February. RSU 73 voters approved a proposed budget of $19.6 million budget for 2019-20 on April 4. The budget validation vote will be held April 23. In municipal elections, Selectperson Judy Diaz, Jay Village Water District Trustee Leslie Gatchell and North Jay Water District Trustee Stephan Franchetti are unopposed. Douglas DiPasquale, Kerry Jackson, Tarek Nadeau and J. Lynn Ouellette are running for two three-year terms on the Regional School Unit 73 board of directors.